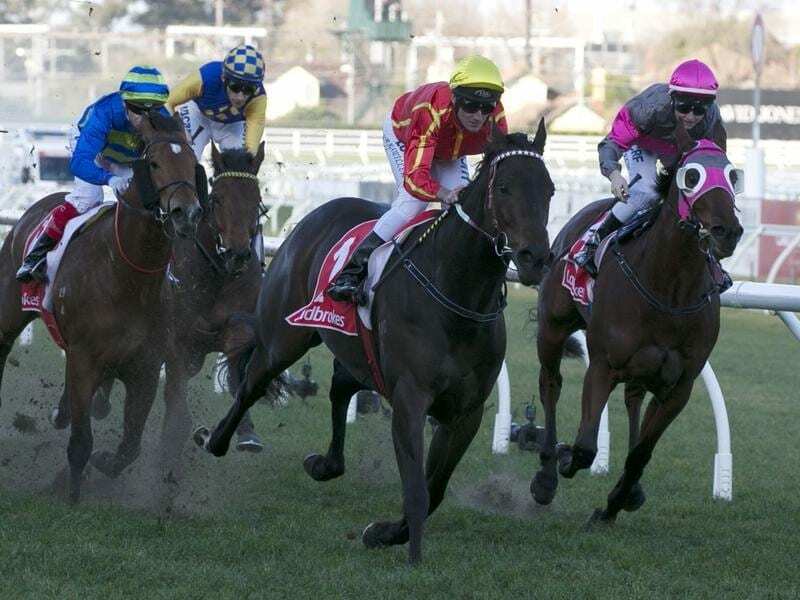 Voodoo Lad (centre) has rediscovered his best form to land the Group Three Sir John Monash Stakes. “I loved the way he just marched into the yard,” Weir said. “Today he was awesome,” Rawiller said. “That turn of speed he had from the top of the straight, he was explosive. “I was so happy with him going to the barriers, just how he was in himself. “I just thought, ‘this is perfect’. And I couldn’t see how if he was right he wouldn’t be winning this race today. “I don’t think he wasn’t going well his previous two starts, just things haven’t gone the way that we wanted them to,” Weir said. The Symon Wilde-trained Inn Keeper’s winning run this preparation came to an end in his first stakes test but the four-year-old battled on well for second. “He ran super. He never lets me down,” jockey Linda Meech said.